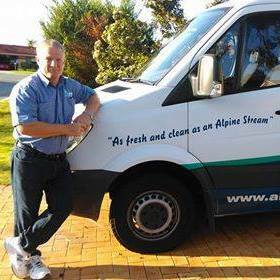 Contact Us I Alpine Carpet Cleaning, Perth. Since 1998. PLEASE NOTE WE ONLY SERVICE THE NORTHERN SUBURBS OF PERTH. TO GET AN INSTANT RESPONSE & SPECIFIC QUOTE TO YOUR NEEDS, IT IS BEST TO CALL US DIRECT. PLEASE NOTE WE HAVE A MINIMUM CHARGE FOR ALL OUR SERVICES. ASK US FOR MORE DETAILS.